Download the NIFS free mobile app and install. Select “Get Guest Pass” on the bottom of the log-in screen of the app and fill out form. Bring your phone to NIFS and check in at the service desk and we’ll activate your Free 7-day trial membership! Refer a Friend to NIFS and Get Rewarded! For every friend you refer that joins NIFS you earn a free month of dues. New! 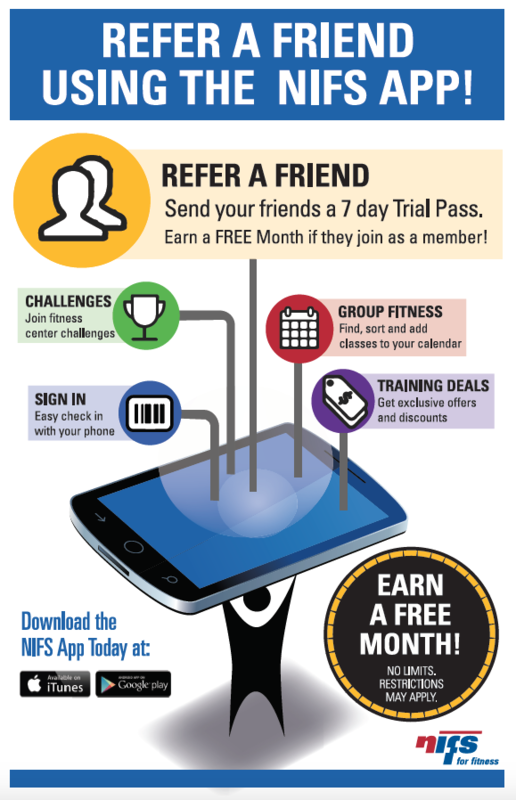 Refer a friend using the NIFS app! Its a simple and fast way to get your friends to join you at NIFS! Experiencing App Issues? Let us know.